Well known Journalist and author, best known for founding Autosport magazine. Gregor Grant had a formal art training at the Glasgow School of Art in the early 1930’s. Before the war, he was a cartoonist, caricaturist and illustrator for a number of Scottish newspapers, including the Glasgow Evening Times, The Evening Citizen and The Bulletin. 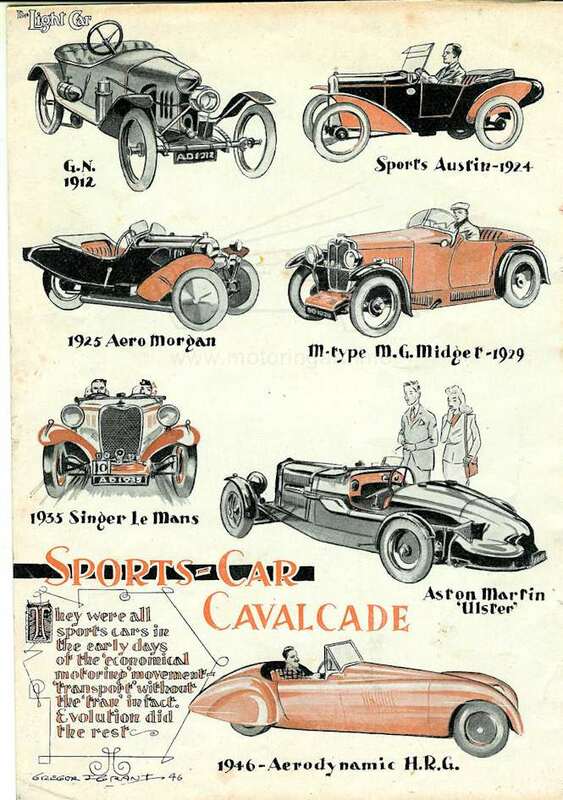 He also drew and wrote for The Light Car and Popular Motoring magazines. The caricatures in The Bulletin were mostly sportsmen, including footballers, cricketers, rugby players, golfers, hockey and tennis players, as well as musicians, such as Fritz Kreizler and film stars, like Charles Laughton and the Marx Brothers. The captions would read, "An impression by Grant of Greta Garbo as she appears in Queen Christina", or "Alfred Hitchcock, as seen by Grant." The caricatures were of a style that befitted that period, with large heads and little bodies, and they displayed a certain affection for the subject, unlike artists before, such as Gilray, or after, like Gerald Scarfe. 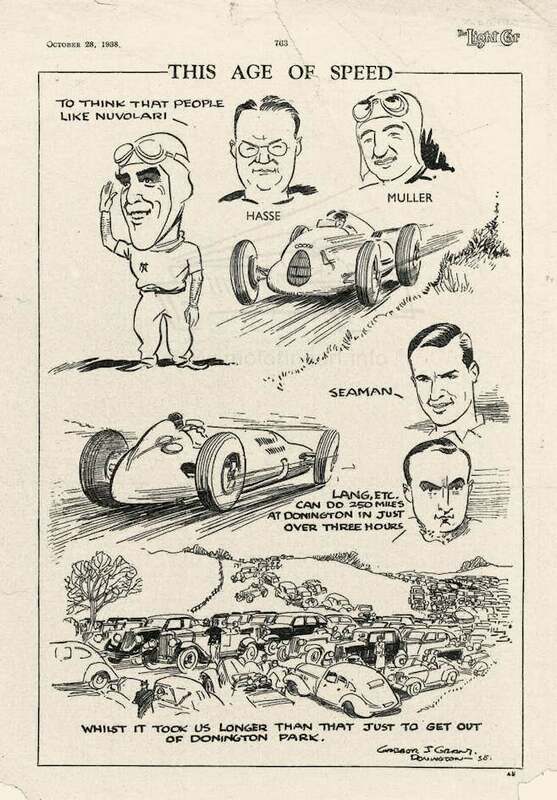 The drawings in The Light Car magazine were all to do with motoring, including illustrations for articles, caricatures of drivers, cartoons and vignettes, normally done in black and white, pen and ink with an easy style and fluidity. 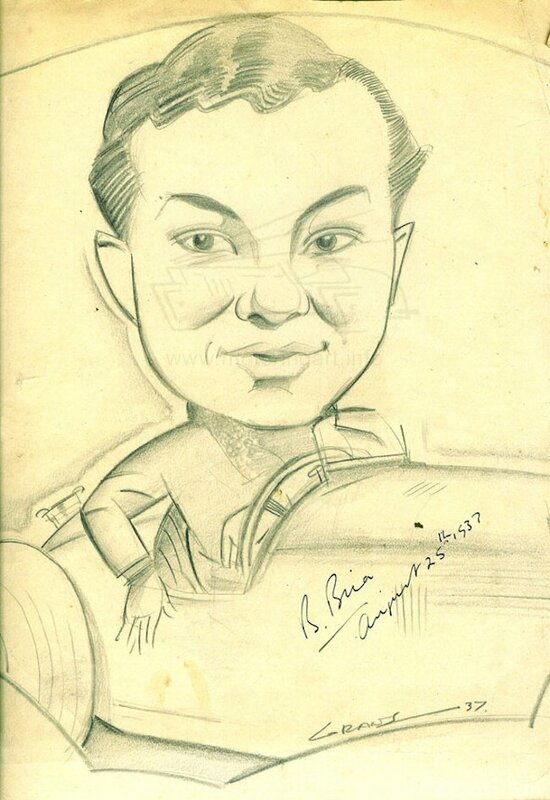 After he founded Autosport in 1950 he continued to contribute the odd drawing, usually unsigned, for various articles. 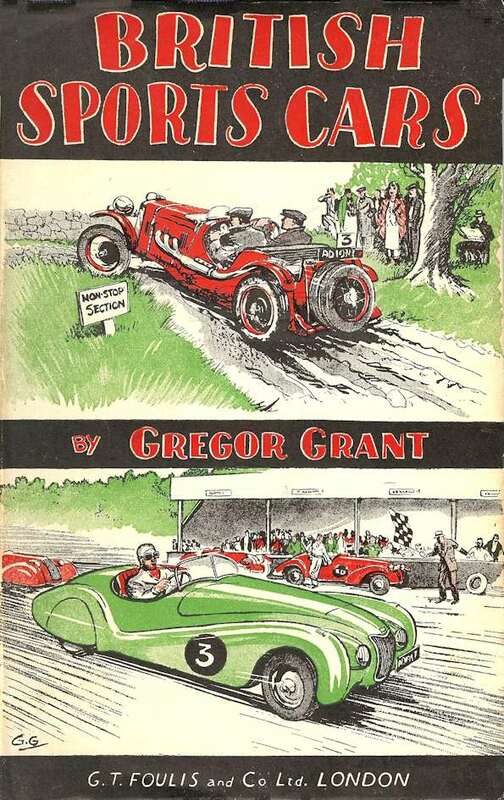 In 1947 he wrote British Sports Cars, the first edition of which had a cover designed a drawn by him, with hand-drawn lettering! When subsequent editions came out, they had a 'proper' type face, but were eventually replaced by a photographic dust jacket. Below is a list of some of the books he wrote. Gregor Grant is the father of Don Grant the modern artist/illustrator/designer. Don in the past has also produced motoring art and has helped with this biography. Don was responsible for the dust cover design of Gregor’s book on the AJS Motorcycle. See the Artists Listing page for details of Don Grant In Gregor Grant’s memory Autosport magazine continues to support an annual motor sport trophy in his name.